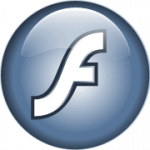 I had problems getting Flash player sound working in Firefox as a regular user. If I launched as root the sound was fine. It turned out to be a corrupted .asoundrc file in my home directory. Restart Firefox and problem solved. I guess if I’d created a new user, that would have worked too.